Oolongs exemplify the concept that some teas can be re-steeped multiple times and yield an incredible volume of drinkable tea. This idea works best when the leaf is steeped in a small vessel, but it also works reasonably well using a large teapot. Please refer to our steeping instructions for details. This is a medium-roasted version (Tan Pei) of Tung Ting from the 2018 Spring harvest. The clusters of leaf are larger than those of our recent Winter Tung Ting Tan Pei (sorry…this picture is of the winter tea) and the fragrance is higher and more defined. Less of the roasted quality and more of the underlying jade oolong quality of the tea is apparent in the cup with this seasonal tea. It is a very elegant tea that is easy to drink. 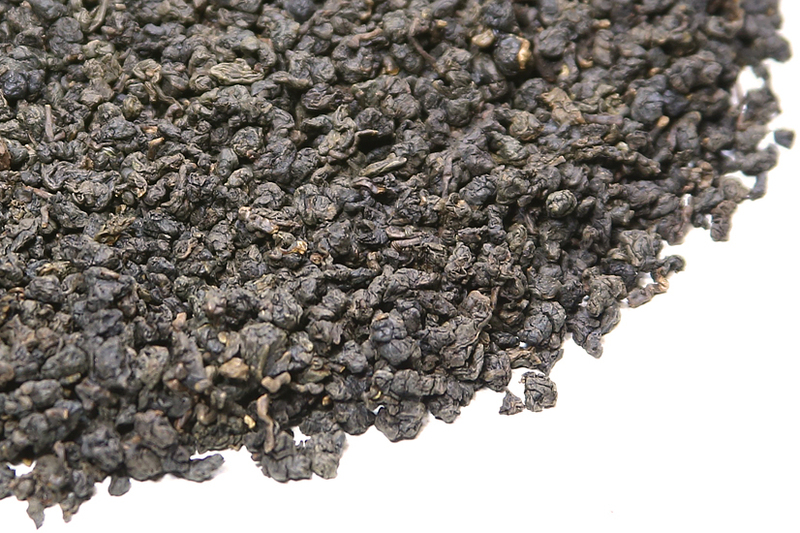 Tung Ting is a mid-level mountain grown tea that is most well-known as a jade oolong – a semiball-rolled green-style oolong. As such, it has a very appealing creamy, buttery texture in the cup. It is a very popular choice with Chinese tea drinkers who appreciate its easy to drink, rich mouth-feel and sweet flavor. Our roasted Tung Ting Tan Pei has the underlying light, dreamy, delicious floral notes associated with green-style Tung Ting but features an added dimension of flavor imparted by the medium roasting in an electric oven. This tea is clean and crisp and very well-made by our esteemed Tung Ting tea master, Mr. Lin. After roasting, Mr. Lin set the finished tea outdoors to ‘breath’ and mellow before bringing the tea to market. Do not confuse this Tan Pei style of roasting with the heavier, charcoal-roasted Tung Ting Hong Pei , which we also have, or the classic Fujian strip-style oolongs from Mainland China. Tan Pei roasting is subtle and swaddles the tea in a light veil of toasty-ness that embraces the natural flavor and character of the leaf and allows both taste qualities to come through harmoniously in the cup. Instead of a heavy, dry woodsey-ness, this type of roasting emphasizes the natural sweetness of the tea by caramelizing some of the sugars in the leaf. It’s a sweet-in-the-mouth roasting rather than a dry-in-the-mouth roasting. There is a reason that roasted oolongs became the standard production method of oolongs a long time ago. Roasting stabilizes the leaf for long-term keeping and increases mellowness and complexity in the tea. 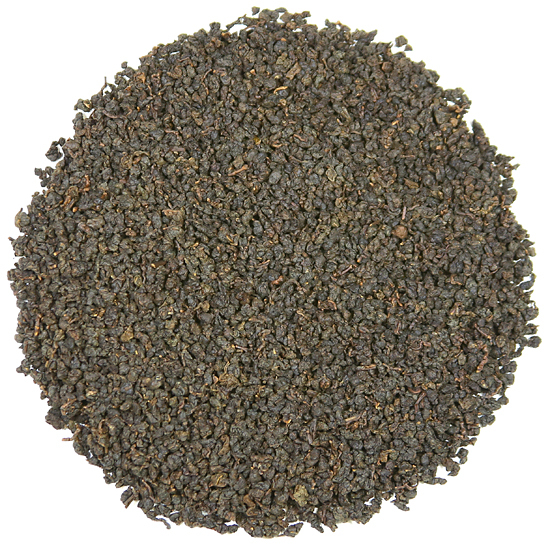 Chinese tea drinkers appreciate roasted oolongs for their warming, intricate, layered flavors. The appeal of Tan Pei roasting is how light and clean it is. When coupled with the right leaf tea, as this is, the effect is magical. A unique taste in a very well made tea.